Christmas lighting ideas – Add some sparkle into your life this Christmas by choosing the best in affordable Christmas lighting. Through the winter months every town centre and many residential streets are alive with dazzling lights. Sometimes we’d like to make the holidays special and show this through decorations, but it can prove expensive. With affordable Christmas lighting anyone can deck their house inside and out without the need to overspend. Gone are the days when Christmas tree lights over heated and sucked up the electricity. 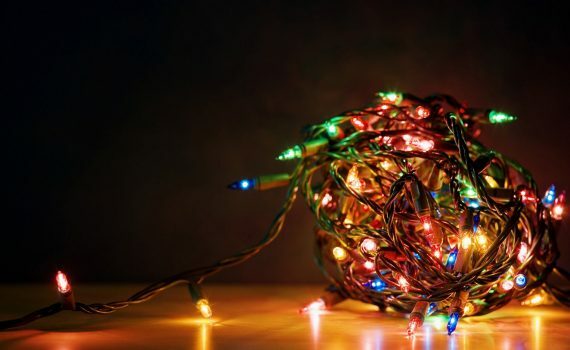 Nowadays we have LED lights that are just as bright as standard Christmas lights, but can be used outside without worry and use a fraction of the energy to power. When they first hit the market LED Christmas lights were expensive. However, like anything that goes mainstream the price has dropped. Today LEDs are very affordable Christmas lighting and are a must for an energy saving Christmas. Over at Christmas Lights etc. two types of LED lights are available. Choose between bright lights that are classically associated with Yuletide and give your tree a bit of pizazz this season. Those who want the lights to accent their Christmas tree and decorations rather than focus on lighting, a dimmer version is available which give off a gentle glow. If you’re into colour schemes, try using a blue and silver palette and use the low voltage blue LED lights. It’ll look like your room is a true winter wonderland. Blue, Red, Green and White — there are lights for any Christmas tree setup. Lighting isn’t just limited to the tree. Oh no. Window and wall decorations, which were once primarily made of paper or foil, are becoming light fixtures. Get in on this new trend with affordable Christmas lighting in a wide range of shapes and colours. Our favourite is the snowflake. Brightening up the window, hanging from the wall or ceiling, these decorative Christmas lights will make anyone’s Christmas collection that much better. Standalone they are beautiful, but all of the snowflake lights available at Christmas Lights etc. are connectable, so you can make snowfall window displays or tree hangings. s decorations are gaining popularity. With affordable Christmas lighting you can learn a lesson from our friends from across the pond and make your home look like it came straight out of Home Alone. As with Christmas tree lights, LED is the way to go for appearance and cost. With outdoor Christmas lights, you have one main decision to make: series or icicles. If you’re after a nice neat way to frame your house, go with series lighting, but if you’re going for a more daring look and want to draw attention, opt for icicles. Affordable Christmas lighting from Christmas Lights etc. comes in a range of colours from classic green and red to an untraditional hot pink. As with most Christmas products, ice white and warm white affordable Christmas lighting make a statement in the winter season.